I’m going to Africa for the first time. I know it took me quite long, like a week after my trip to Ethiopia just to start up writing about my experience to Africa. Some friends of mine asked me why I couldn’t update them while I was there. Well, the answer is the scandalous Internet cost of about 11 dollars per hour at the Hilton hotel in Addis Ababa. But, I was sure that there was an affordable Internet out there. 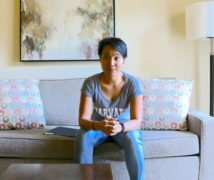 At the hotel, the cost kept me irate for days but I still paid for it several times so that I could talk to my family back at home through skype. I spent almost $50 for the Internet to make phone calls back home as my parents didn’t have the Internet at home. What about skype and other free calling programs? I used them as well, but the very difficult thing about calling Asia from Africa is the difference of time. Usually, when I was done with my work in Ethiopia, my family in Cambodia were already asleep. I also spent another 48 dollars for 3 days’ Internet access in my room. That’s not actually how I wanted to start my blog post about travelling in Ethiopia, the second most populous country (~74 million) after Nigeria (~155 million). Never stay in Hilton or other expensive hotels, but I couldn’t refuse because I was here to take part in a course. I stayed at Hilton Hotel, one of the most expensive hotels in Addis as part of the arrangement from Women Edition Program, because it was covered. Every day, new banners of events were hung in front of Hilton. Always something new, I thought. Addis was picked to host all the UN headquarters in Africa. And, I extremely liked the weather. It is always one of my good friend’s most favourite country. Brenda Zulu from Zambia told me that she loves the attitude of Ethiopians – friendly and helpful. Like I wrote another post about travelling to Doha/Qatar, some countries don’t have embassies in Cambodia. Like Qatar, Ethiopia is apparently a far-off country from us. 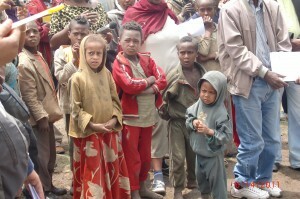 The only story I hear about Ethiopia is the story from my Elementary School. 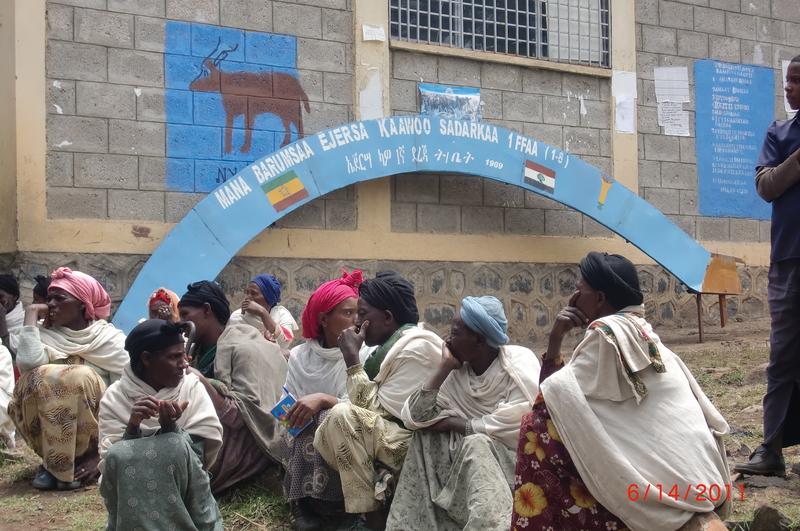 It was a good old lovely story from my primary school about Ethiopia and the love of people for their country. When I arrived at Bole International Airport in Addis Ababa, I went to the immigration office. Relaxed, I tried to smile a lot at the immigration officials. I had an impression that they looked similar to Indians. How in the world did I think like that? Indians would laugh at me if I told them that. In all seriousness, Ethiopians look so cute. It took just about 15 minutes at the immigration office, and I paid $25 for the visa. Visa on arrival? In fact, the organizers of Women Edition 2010 sent my name and my friends’ names to the foreign ministry before my arrival. This really facilitated the process a lot. Seemingly it’s the only African country of which prices of goods especially in Addis Ababa have been inflated by outsiders or what we call “NGO and UN staff,” the most sought-after job in Ethiopia, that’s what I was told. Who didn’t dream of coming to Africa after watching very picturesque views of wildlife in Africa on TV? I always enjoy watching TV programs in which people take a safari deep into the African wild forests. I’m certain that people who travel in Africa are not unaware of poverty and hunger in here as much as everyone else is fully aware of poverty in Cambodia. It is everywhere, in my country or Africa. The western media have always mentioned poverty and hunger in Africa, just like land-mines infesting Cambodia’s land. 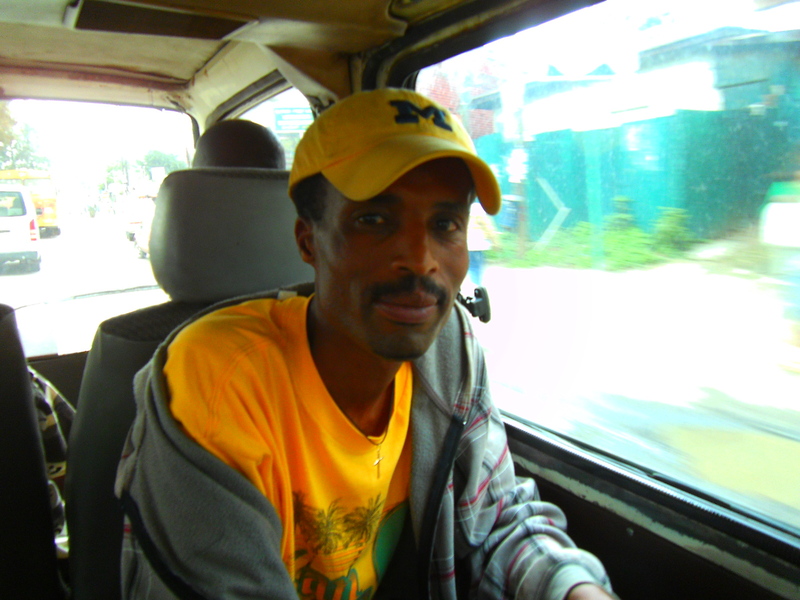 As soon as I stepped on the soil of Ethiopia and looked around myself, I began to learn that reality could be hasher. I saw some orphans and young people slept under bridges and roamed the street in the morning for food and paid labour ( I was told by my African friends from other countries) Not that Cambodia doesn’t have these issues. Addis also hosts many Orthodox Christian churches (Apology for not taking any church photo). The early morning I arrived, I was put in a car and out of the window of the car, i saw rows of white-clad Ethiopians kneeling on the ground with the praying (church) music played in the background. It was an interesting moment for me. It reminded me of Cambodians going to pagodas or churches. It’s WEP that brings me here. Thirteen female journalists from Asia and Africa have been selected out of hundreds of applications before coming to where we are now. Committed to exposing “reproductive health” issues almost overlooked or ignored by other journalists and media outlets in our respective country, the 13 of us take this journey to Ethiopia to see how it works on the other side of the world. Well, back in Cambodia it seems much worse, and as I said among them all that Cambodian media are only into politics and fashion. Not a day goes by without some journalists writing up political pieces just to satisfy a certain politician. How about people who need to be informed about their health? Why did we come to Ethiopia? Because we’re here to learn from some successful development programs such as PHE, bio-economy Africa, Hamlin Fistula Hospital, and some Cervical Cancer programs. 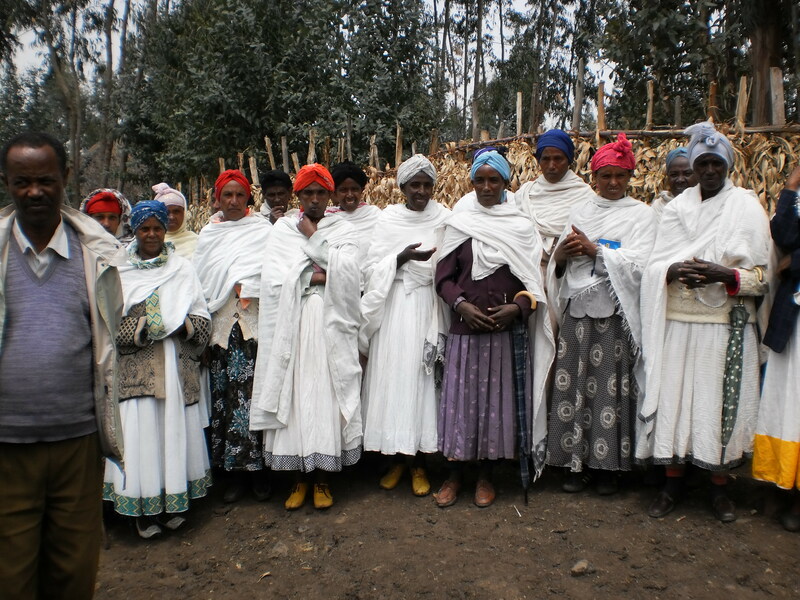 We’ve heard of some great programs being conducted in Ethiopia. What about Cambodia? Cambodia’s just had cervical vaccine for about two years, and it’s carried out only in one of the hospitals in Phnom Penh. :-/ Sad, right? At the end of each day within one week I spent in the Horn of Africa, I came to appreciate my life in Cambodia. Some people might be offended, but that is true. 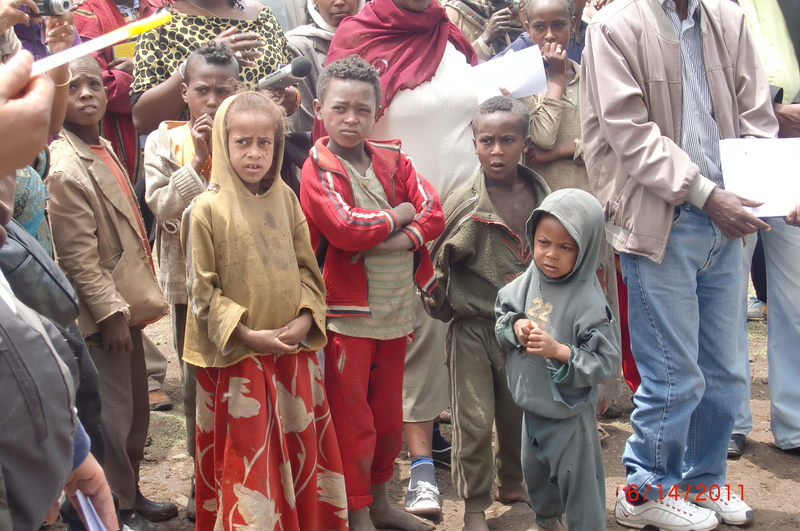 Ethiopians had to constantly look after themselves and watch out for their family and kids, just as much as Cambodians do. The degree is larger in Addis. Intricacies of living in Ethiopia are indescribable. Poverty and corruption penetrate every corner of the world. Of course, that happens a lot to Cambodians and many dream of leaving Cambodia for a better place as well. Cambodians are considered as people very eager to leave for a western country according to some studies I read. A few issues I learnt from my trip was that climate change impact is so bad that it was hard for people to grow crops and support themselves. This issue has to be addressed by the government and relevant institutes. I can say the same for Cambodia. Ethiopia is one of the African countries that hosts the most number of NGOs. The NGO staff there is very well paid, and furthermore, Addis is the only place in Africa where UN agencies and programs for Africa are based. 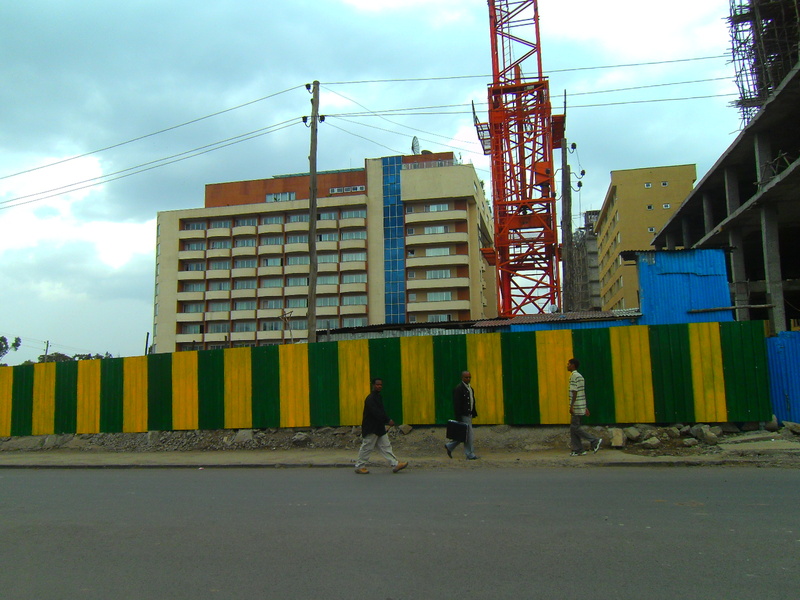 Construction in Addis was going on every day, making this country remain in a transition phase. I am sure that it will take a bit more time for the economic situation to boom in Ethiopia. I don’t know why Hilton was chosen to accommodate me and other journalists. I was startled at how grandly it stood among the slums that mushroom along its side. So this hotel is quite close to the Ethiopian president’s magnificent palace, and when we take a taxi (which looks about a century old), we could see from afar how well protected it is from the people, not to mentioned carefully guarded by military men. Whatever I’ve said here, I think I’m just an outsider. Wherever I travel, I learn that delaying judgments is the most important characteristics in a visitor. Every now and then, I remind myself of the one week I spent in Africa and inquire myself how much I’ve taken away from the trip to this country. If you ask me, there’re just too many similarities between Ethiopia and Cambodia: poor people living in the slums are moved to another invisible corner; rich elites don’t care, do they? 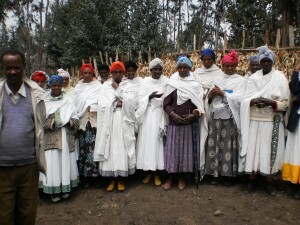 But there are also beautiful images of the locals being so helpful to tourists and the rich culture of Ethiopia. 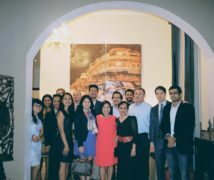 Cambodia has been a heaven for NGOs since 1993 after we regained peace and stability. I saw the same is going for Ethiopia.The prices of goods in the city especially are quite inflated because highly-paid UN officials that come in with loads of cash. But this is gonna change with the dynamic entrepreneurs. 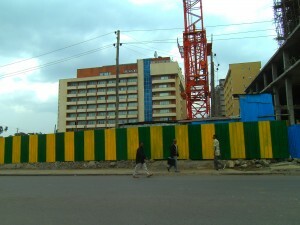 I also saw very young beautiful women solicit publicly in brothels found at some parts of Addis during broad-day light. The small difference is that young girls in Cambodia go around evening time. Not that Cambodia doesn’t have this, of course. This happens and will continue to happen, and we all live by our choice. On our last day, every one of us was all too smiley as we’re going back home. One of the African participants joked on the spur of the moment, “You only want to come here once and for all.” But for me and Brenda Zulu who keeps coming back to Ethiopia, the country has its charm to be explored in the future if opportunity arises.